60 years ago the Caspian Tiger went extinct. Before leaving this planet it was one of the biggest species of cats on the planet at 10 feet in length and up to 500 pounds. Scientists are now ready to bring the Caspian Tiger back from extinction — sort of. The tiger existed in Central Asia and was an incredibly close genetically to the Amur Tiger. 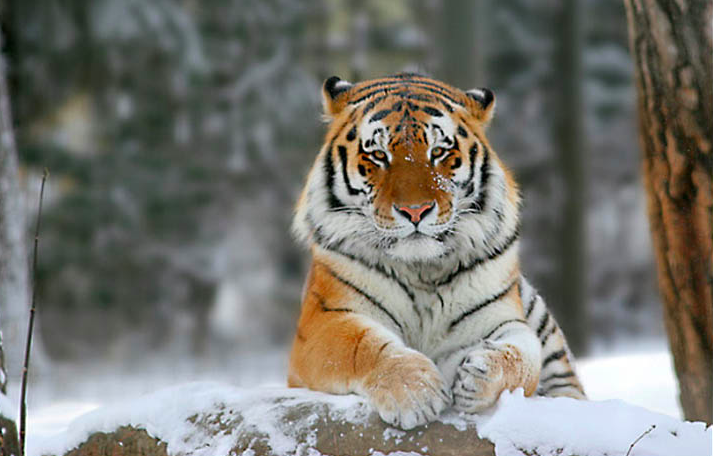 Experts now plan to implant the Amur Tiger into Central Asia. The goal is to replace the extinct species with its closest relative and then allow evolution to take over. They hope that a nearly identical species will learn to adapt to its new habitat in Central Asia. The program is being spearheaded by researchers from the World Wildlife Fund and the State University of New York. Those organizations have identified two specific parts of Kazakhstan that could serve as a new habitat for anywhere between 64 and 98 Amur tigers. The project could easily take 15 years to put into place. First, two separate areas will need to be protected and then researchers will repopulate the area with deer, wild boar, and other animals. The southern coast of Lake Balkhash and the delta of the Ili River have been chosen for the experiment but first researchers will have to figure out how to allow the tigers to co-exist with humans. “WWF and the government of Kazakhstan seem to be ready to deal with all these difficult issues to bring tigers back to Central Asia,” says Paltsyn. If the experiment is a success, tigers will exist in Central Asia for the first time in decades.